Nigeria is set to host one of the biggest expo ever in the busy city of Lagos come July 2018. 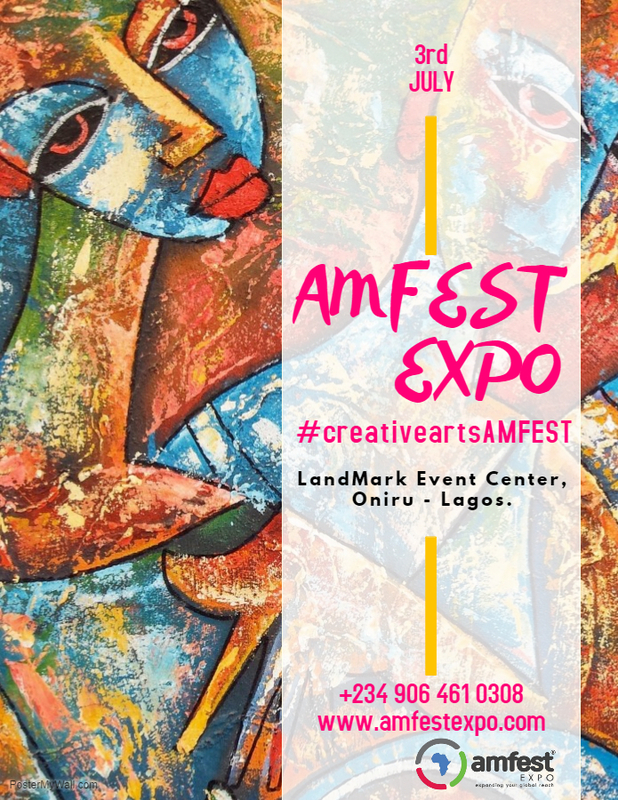 It is the 2018 AMFEST EXPO which is laden with the responsibility of expanding Africa’s creativity economy into the global market. African practitioners in the area of music, fashion, film, food and creative arts have the potential of being the biggest creative business people in the world.  We have always heard that business wise Africa is termed the Dark Continent because the global economy have very little information about this geographical space. AMFEST EXPO has taken up the responsibility of introducing Africa to the world and vice – versa. 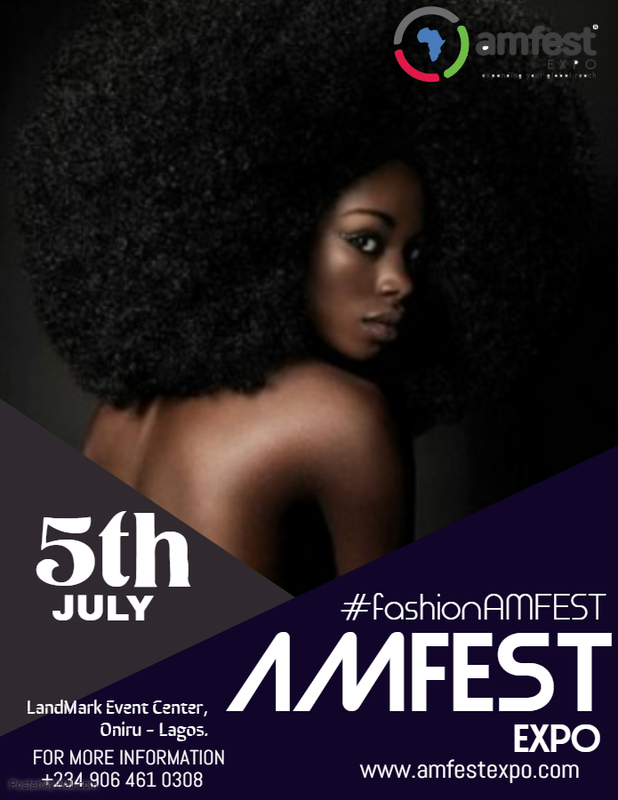 AMFEST EXPO is the largest creative business networking platform in Africa. 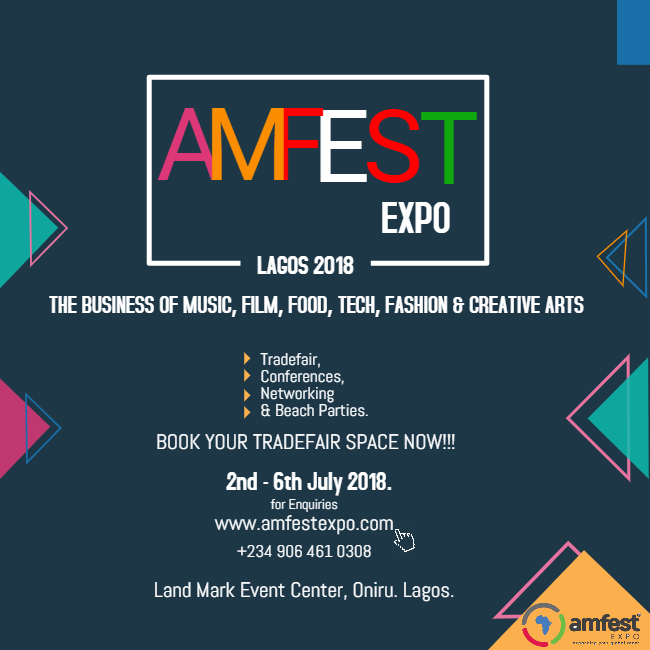 The “AMFEST EXPO” LAGOS 2018 Is a 5 day B2B business event packed with Conferences, Showcase Festivals and Exhibitions. 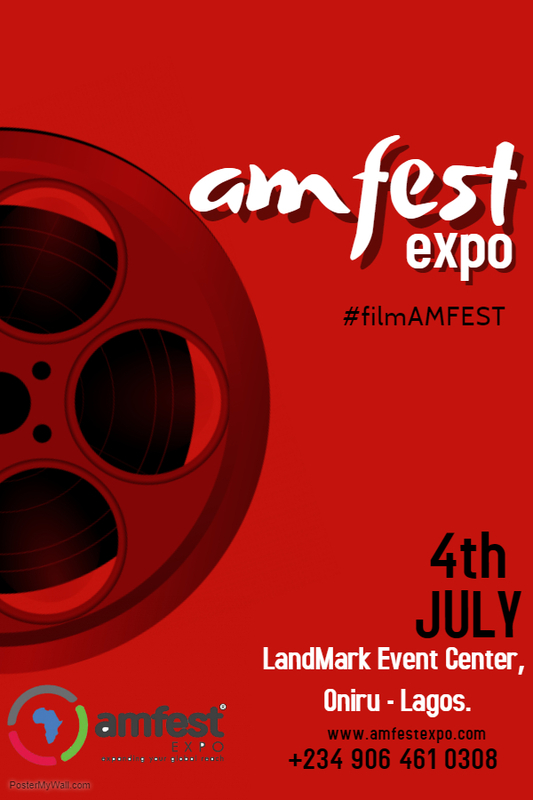 AMFEST EXPO is about networking the African Entertainment, Arts and Culture business ecosystems to the global market. 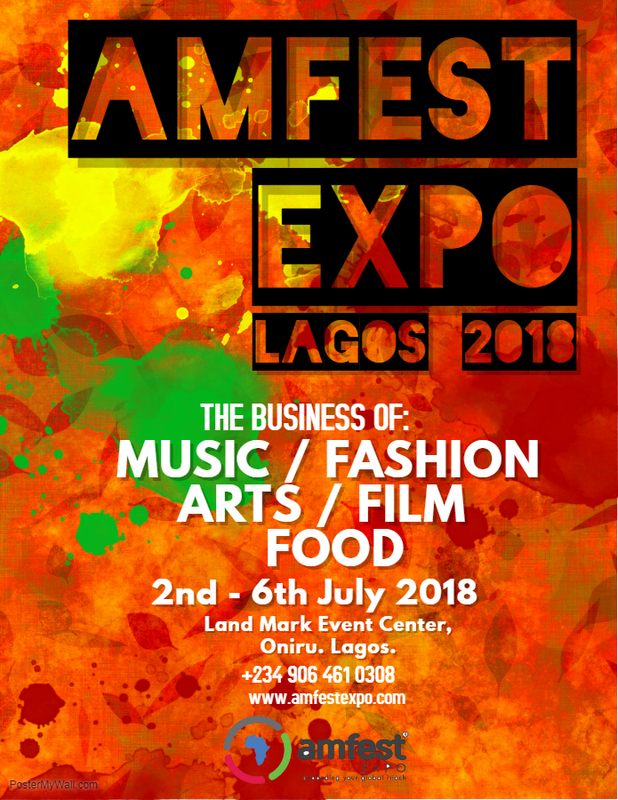 The goal of AMFEST EXPO is to organise the African creative industry, build a bridge between her practitioners and the global business ecosystems, to foster growth in culture and business exchange among all stakeholders. Maybe one day, we will see African delicacies in the menu books of 5star restaurants around the world to cater for a growing African consumers in those areas. Maybe we will have an African Musician closing Coachella and Glastonbury Festivals. Maybe soon we will have African creative directors in Valentino, Oscar de Larenta etc. Maybe we will have Paramount pictures distributing African produced films soon. We hope to start what consummates into such relationships in the next 5 years. We are putting together the biggest B2B & B2C networking platform in Africa to directly cater to the global expansion of the African Music, Film, Fashion, Food, Creative Arts & Tech Business ecosystems. It’s bringing in business professionals, Practitioners and companies from 90 countries to Lagos, Nigeria. 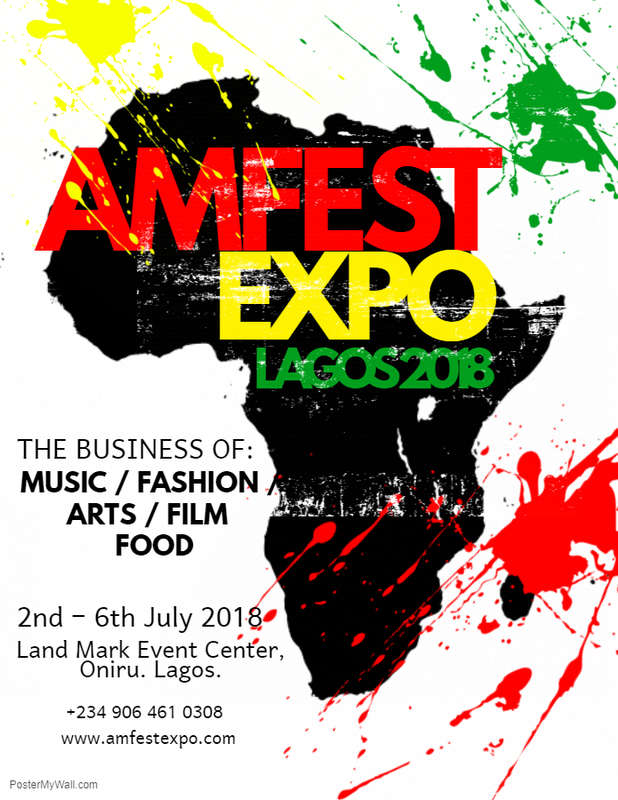 AMFEST EXPO “Lagos 2018”. 2nd-6th July. Land Mark Event Center &HardRock Cafe & Beach Front, Oniru – Lagos. It’s a forum to give your businesses its first and least expensive interaction with the 1.2billion people market of Africa with the opportunity to meet and network with head of private & public sectors. 4 Lounge & Happy Hour Networking events for 5days at the HardRock Cafe. Great visibility for brands & products. It’s also hosting the biggest party this summer. 5beach parties back to back for 5days. 4 Lounge & Happy Hour Networking parties for 5days at the HardRock Cafe. 5 Showcase events for 6 creative industries for 5days. Music Concert & International Awards for Grand finale. CONVENERS: KAYODE ADEBAYO MEDIA AFRICA, GOLDROCK INC, USA, PIRANTA ARTS, AG – BERLIA, CONVENERS OF WORLD MUSIC EXPO WOMEX, DAWN COMMISSION, JETHEIGHTS SERVICES. For more details about the opportunities at Amfest Expo 2018 and how to register for the event, go to the Amfest Expo 2018 official website. 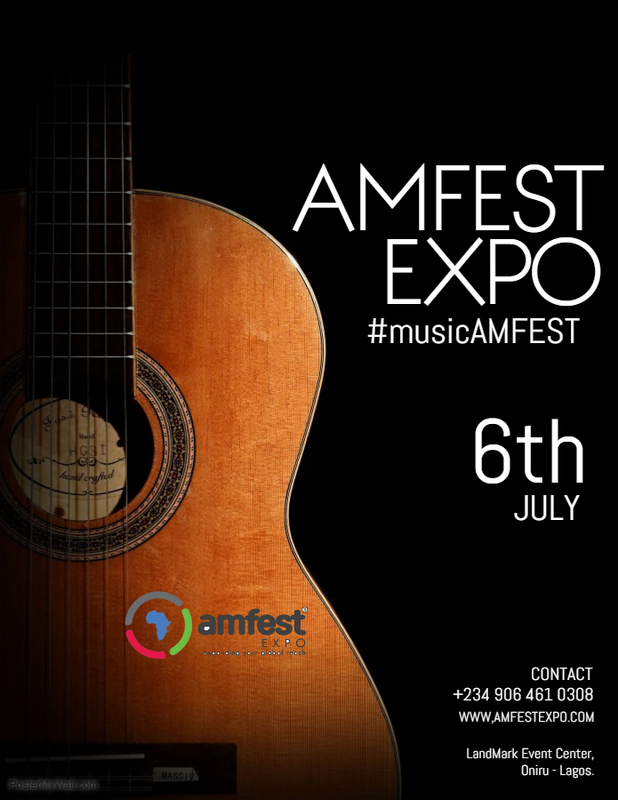 You can also call+234 906 461 0308 or send a mail to info@amfestexpo.com. Jetheights Services, one of the conveners of AMFEST EXPO LAGOS 2018, is a young but fast growing Africa focused digital media publishing and advertising company. So far, we have created over 13 companies in different verticals: online retail, online marketplace, real estate classifieds, online travel booking, news sites, job and HR, entertainment, insurance, e-education and training, social network and online forums. Jet Heights Services (“JHS”) is a clear ongoing success story and one of the leaders of Internet Entrepreneurship in Africa. Founded in 2010, registered in 2012, we have taken several huge strides in the industry.